Welcome February’s Author, KG Petrone. KG provided some interesting answers to my interview questions. One of my favourites is #7. Her answer made me chuckle. When I originally came up with the question, I was thinking of my favourite historical romance novel. I was not thinking about some other genres. I definitely would have to agree with her answer. 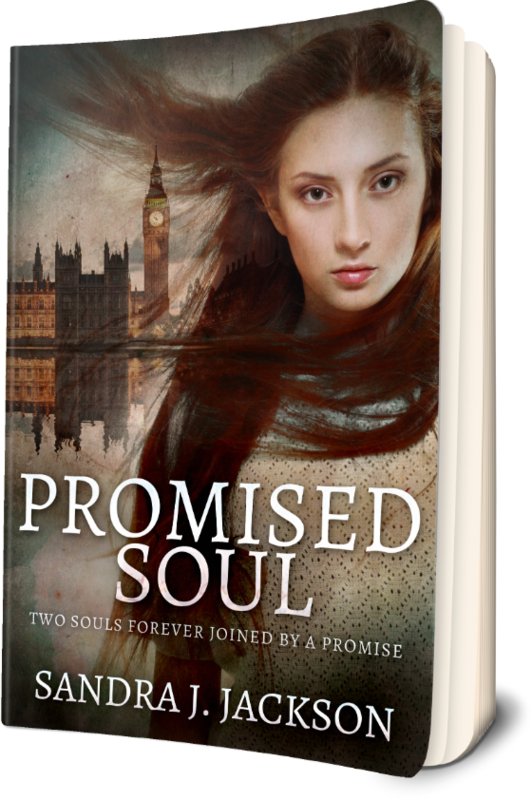 If you are an author and would like to be a guest on my blog (here and on my website) send me a message. 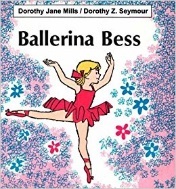 Oh, goodness my first book was Ballerina Bess. I read and read that little book. I remember feeling much like Bess. I loved to dance and felt I too, could become a Ballerina. I didn’t, I dabbled most of my life writing memorials and poems. However, I didn’t know I wanted to be a writer until a story popped in my mind and became trapped in there. 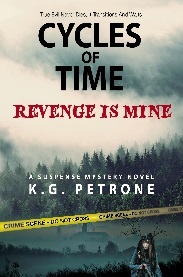 I began putting the story down on paper and nine months later, “Cycles of Time – Revenge is Mine” was complete and published. My favorite authors are Stephen King, Dean Koontz and Lisa Jackson. I’m sure I will acquire a larger list as I read more stories from my peers. Of course, the accomplishment of a completed story, but what I enjoy more than that is feedback from my readers. For me hearing feedback from my readers good or bad is the most satisfying aspect. On the flip side the least favorite thing for me in writing would have to be punctuation. Not too long ago I would have answered writing dialogue but I have become more comfortable with it. The idea for my current release came from a true story I came across while doing some research. I was researching an area where I was considering purchasing a home and came across the story of Frances Slocum. The story hit a cord inside my heart, not from Frances’ perspective but from her mother’s. As I began the process of putting the story to paper the story-line evolved on its own. My character are a mix. Some are based on people I know. The two main characters Detectives Hart and Jones from my published novel are based on two of my children. Victoria another character in my story resembles me. However, the other characters are totally invented. Oh, sadly yes! As I stated in question 5, the idea for my story-line struck me while researching a location for a prospective new house. I immediately began writing prior to the closing on my home. I created this female character Beth O’Donnell an avid runner. After closing on the home, we moved (to another state). That when I began to take notice of a woman walker who regularly passes my home. Her features are identical to that of my characters. I have yet to speak or say hello to her. I think I feel a bit guilty because in my novel she becomes a victim and killed off. The other kind of creepy thing I noticed is that two of my new neighbors (Jerry & Joe) are also two names I chose prior to moving for other characters in my novel. I did not know or meet these people until after the move just uncanny. You can read some of my poetry on my blog or on one of the below links. 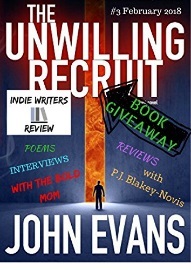 I have also been featured in Indies Writers Review. 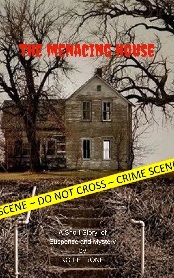 You can purchase my books through Amazon.